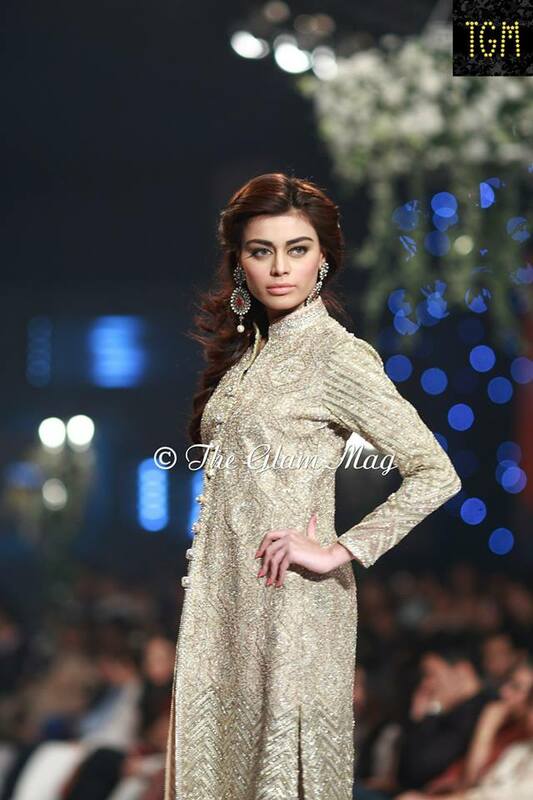 Faraz Manan is well a reputed fashion designer of Pakistani Fashion Industry. 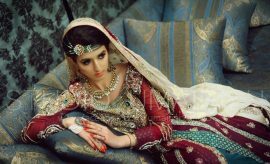 He designs perfectly and is very famous especially for designing best bridal dresses. 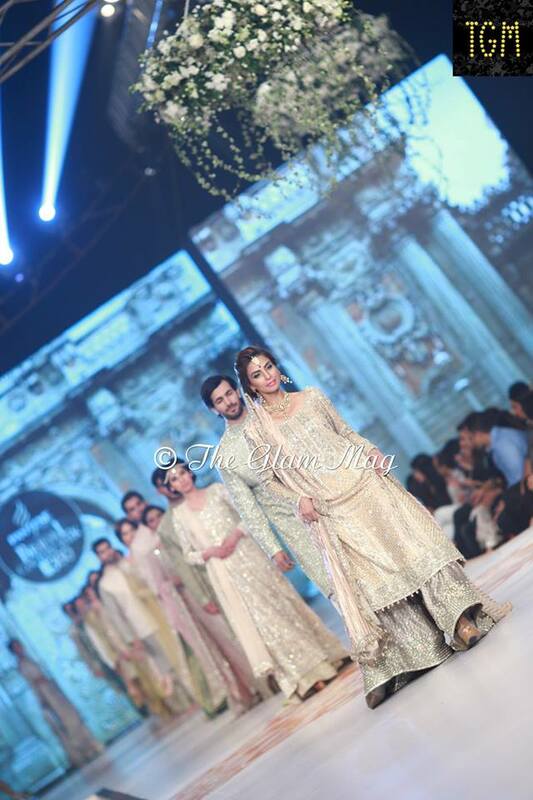 He has recently showcased his new Bridal wear Collection in Pakistan Bridal Couture Week. 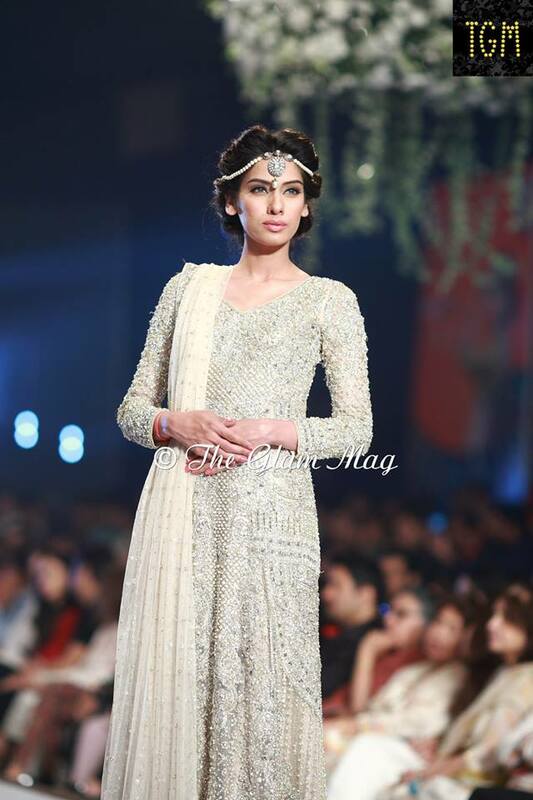 So are you ready to have a look at the latest Faraz Manan Bridal Dresses Collection? 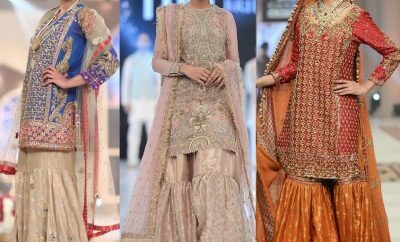 This is a mega event and one of the most popular fashion shows conducted twice a year in Pakistan where different designers present their latest wedding wear collections. It comes with a marketing plan for Pakistani brands. This is a best platform where brands and designers can market their collections. This year like always the Pantene Bridal Couture Week has been conducted on a series of days, from 9th to 11th of May, 2014. 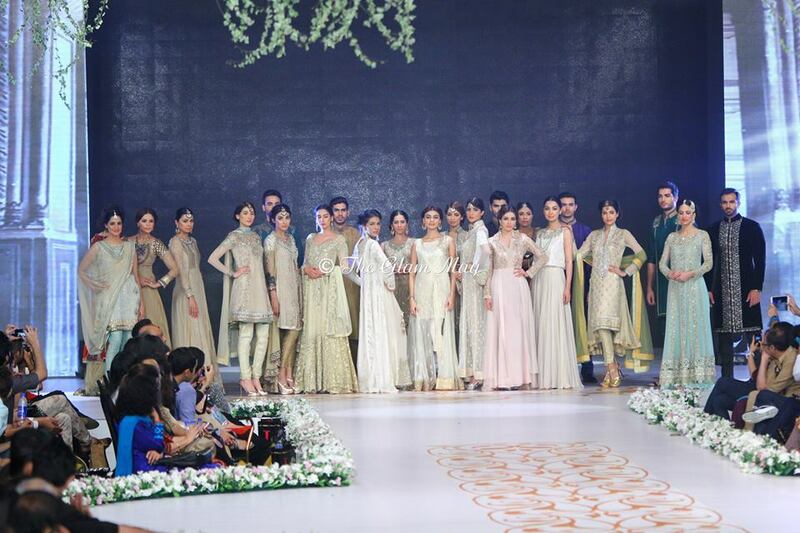 About 20 well known fashion designers had participated in this event, where the audience had the chance to witness stylish and trendy wedding and Party wear dresses worn by beautiful models walking on the ramp. The Latest Bridal Wear Collection by Faraz Manan is wonderful assortment full of latest bridal dresses stitched in trendy styles. The charming stone work glittering on shinny silk and chiffon fabric is looking amazingly beautiful. It gives a royal touch to these pretty outfits by enhancing their beauty and glamour. 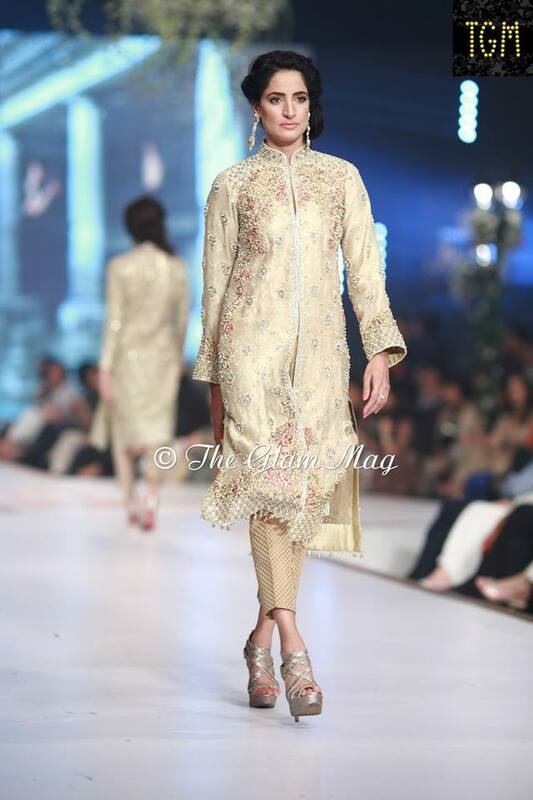 The dresses in light shaded colors are embellished with silver mesh as embroidery. Heavy embroidered work is applied on front and panels. 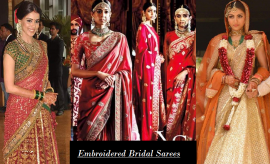 It has brought about a complete variety of bridal wear outfits including Sarees, gowns, frocks, Shirts with trousers, Capris, palazzos and tights, and maxis, lehengas. 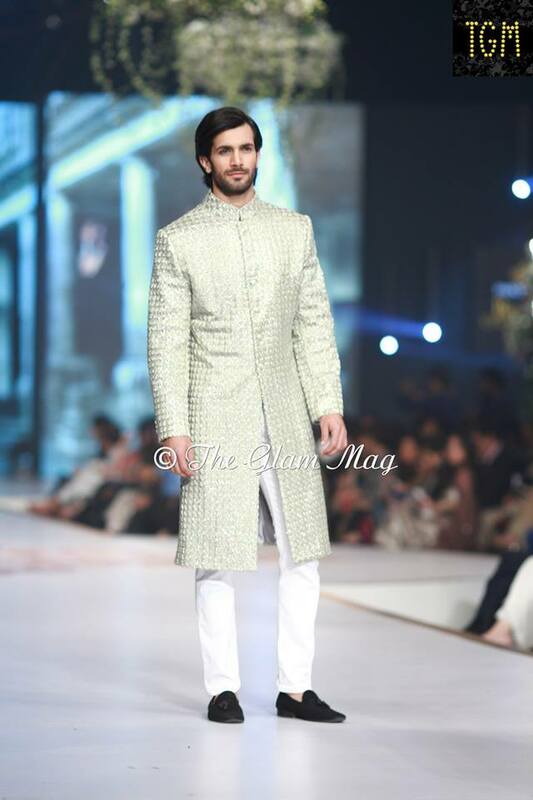 Sherwani, pant coats, and kurta designs for grooms. This wonderful assortment can serve as a best choice for you as it encounters latest trends. The color code used is elegant and descent, although only light shades are being used by keeping into mind the current clothing trends in bridal wear. Instead of traditional red color for wedding dresses other colors are being focused these days. 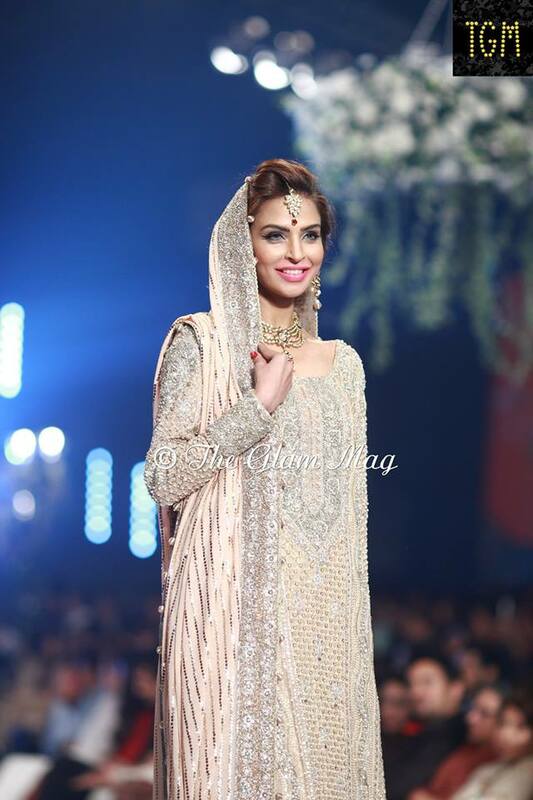 Especially for Walima ceremonies light colors are being preferred. Yet Manan has brought about all colors in light shades in his collection. 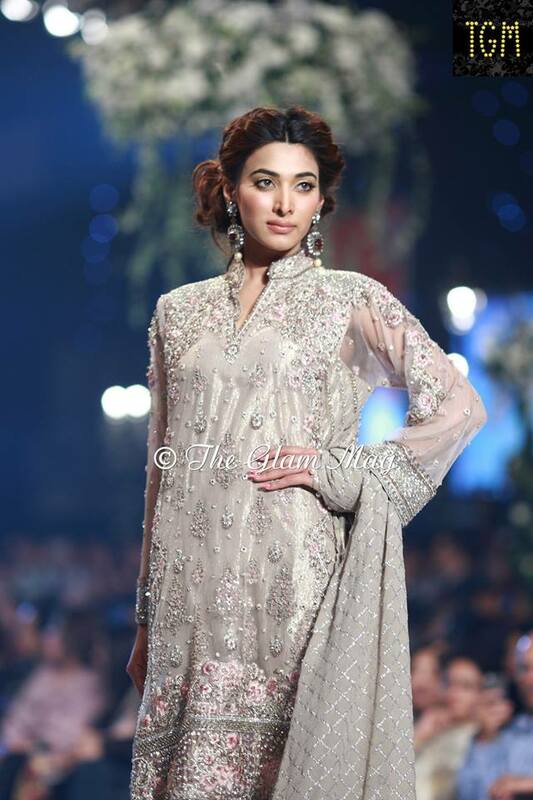 These wonderful faraz manan bridal dresses are appropriate to be worn on Barat as well as Walima ceremonies. 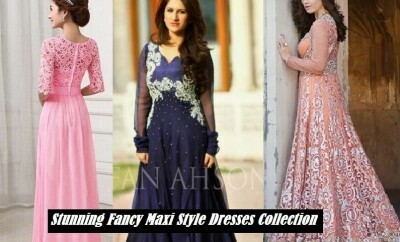 As far as the current trends are concerned, short kurtis have been replaced by long open shirts or gowns, further maxis, frocks, and gowns are used along with Lehengas which are being used traditionally. 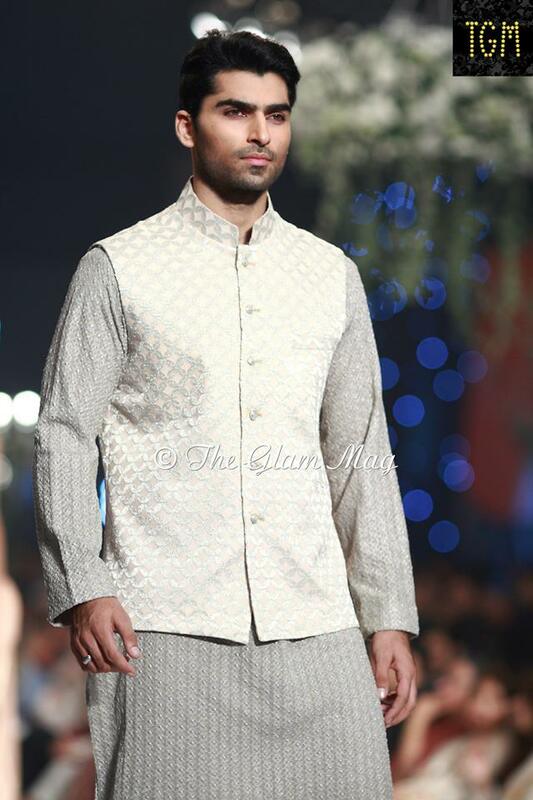 For grooms the most commonly used wedding dress is a sherwani. 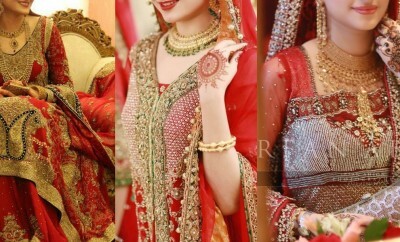 The stuff or fabric used is also very soft and comfortable to wear on wedding day. If you have’nt seen this wonderful assortment yet, need not worry about that. 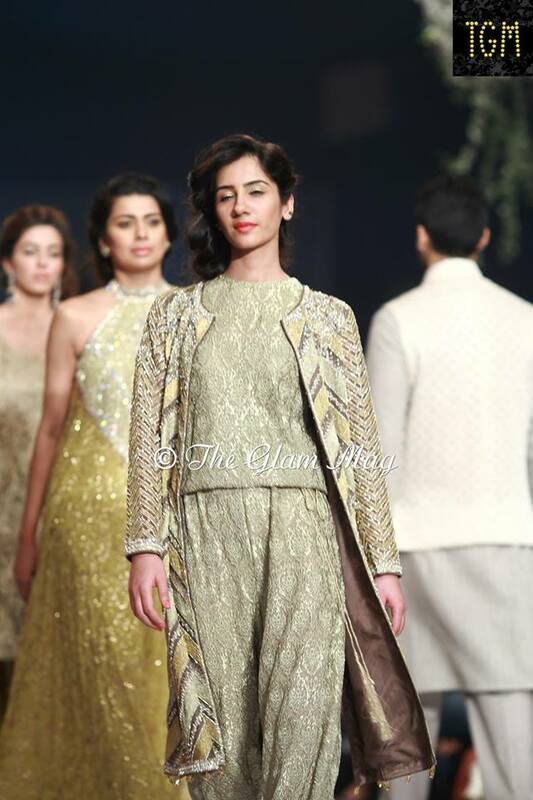 See the highlights of this adorable ramp walk and enjoy the lovely designs. Rate the one you like the most. 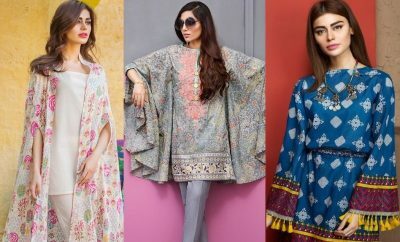 If you are interested to buy these dresses visit the designer’s or brand’s official website or the nearest out in your city today. Share your views about these pretty wearables with us.